Home JJA Blog What’s New at the DOB? Sometimes it can feel like the NYC compliance code changes as often as the weather. What’s lawful and compliant today can be a reason for a violation tomorrow. Keeping up with the constant changes isn’t easy—but that’s where we come in. Jack Jaffa & Associates is committed to keeping you informed about all the changes the DOB implements to the NYC compliance code and all related regulations. In July, the DOB announced that as of September 17th, 2018, all inspection/test reports and notifications for elevators and similar devices need to be submitted online via DOB NOW: Safety. (See September changes below for another update on elevator filings.). 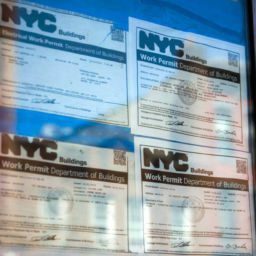 All original applicants for Safety Registrations will need to submit the LIC7 application to srgc7@buildingsnyc.gov for review. On Monday, August 6, the Electrical Enforcement Inspections Unit relocated to One Centre Street, 23rd Floor, Room 2342. In August, the DOB announced that effective October 15, 2018, all new Limited Alteration Applications (LAA1) and Emergency Work Notifications (EWN) must be submitted on DOB NOW: Build. LAA filings submitted in DOB NOW will be permitted in real time. Also in August, The DOB announced that it will launch an online self-service appointment system on October 1, 2018. The website will replace the current procedure of calling 311 to make appointments through the Plan Examination Notification System (PENS). In a follow-up move to its announcement in July regarding elevator compliance filings, the DOB stated that paper elevator compliance filings will not be accepted after August 31. As of September 17, 2018, all paper elevator compliance filings must be submitted online via DOB NOW: Safety. (See September changes below for another update on elevator filings.). The units relocated from the 4th, 5th, and 6th floors of 280 Broadway to the 1st floor of 280 Broadway. To accommodate owners and industry members who are in the process of transitioning to DOB NOW, the DOB has announced that it will continue to allow paper filings of Elevator Compliance Notices in certain circumstances. The exact circumstances that warrant a paper filing can be found here. If your filings do not fit the requirements, you must submit them via DOB NOW: Safety as previously instructed. By 2019, all filings must be submitted in DOB NOW: Safety. In accordance with Local Law 1 of 2018, the Department of Housing Preservation and Development (HPD) will develop a list of buildings identified as at-risk for tenant harassment for a new pilot program. The list will be effective as of September 28, 2018. All owners of buildings on the HPD Pilot Program List will be required to submit a Certificate of No Harassment (CONH) or other HPD documentation to the DOB prior to obtaining approval or a work permit for covered categories of work. As mentioned in our last blog, the DOB recently welcomed 105 newly minted inspectors at the 2017 inspector graduation ceremony….